Congratulations BSS Students Chosen for SVA Fine Arts Night! Congratulations to the following students. Their artwork was chosen for St. Vincent’s Academy Fine Arts Night. Event details follow the list of names. Parents have been emailed. 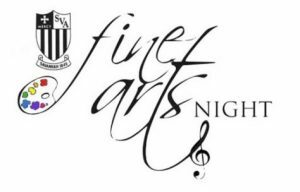 7:00 – 7:30PM – Short entertainment program in the gym, featuring scenes from the SVA & BC play, Catholic Area Schools visiting artists’ recognition. Come on out to support your classmates! GO IRISH!